That product turned out to be the Segway. Which was, and is, a pretty neat product — but perhaps a few decades ahead of its time. 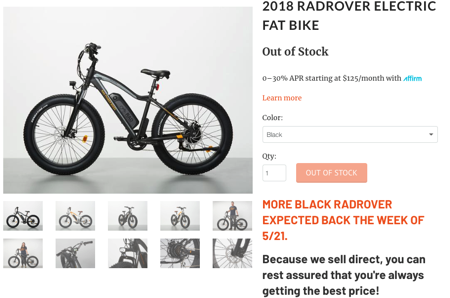 Meanwhile, as a quiet consequence of LiOn battery evolution and China, eBikes are growing exponentially. A fusion between traditional bicycle and scooter. Like most cyclists I have mixed feelings about eBikes. On balance I think they are a good thing, but they will certainly have bad consequences — especially when collisions happen. A 250 lb adult on a 50 lb eBike moving at 25 mph is a lot of kinetic energy. Mostly though, this is a marker of a changing world.